This interview was done after I gave Klaus the notecard and Klaus sent me by the answers in another notecard. Thanks, Klaus. Klaus Bereznyak has been writing for the Newser for some months. But he's also involved in other things on the Grid. Among them is Burn2. He doesn't hold any position there, but Klaus is in the group and likes to keep track of what is happening. "I've always tried to get along to the Burns and have enjoyed the creativity on display year after year. It was always a bit of a pipe dream that I'd do something for it, the sort of thing where you might sit in a pub with friends and say "ha ha, we should do something next year; I mean, how hard can it be?" But that's as far as it goes." said Klaus. "Last year, however, I did a build with a friend. Two things came together in that the theme of "Radical Ritual" seemed like a really interesting one to engage with, and I found a creative collaborator who was game enough to say "do you want to actually do it." It was a lot of fun." Klaus has a reason why he is on Burn2. 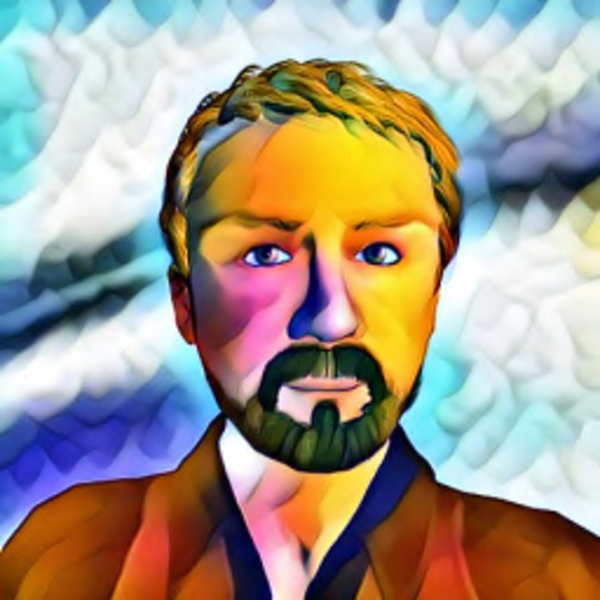 "I like the 10 Principles of Burning Man and I think they have their place in this virtual world of imagination and experimentation. The themes of 'Radical Inclusion', 'Decommodification' and 'Self Expression' are ones I'd like to see in play more in all worlds." said Klaus. "Basically they mean, "anyone is welcome to participate", "it's not all about money", and "what you have to say is valid". If we played along with that we'd be better avatars and better humans, so I like how Burn2 brings that back into focus every year." "I think I'll keep championing the creativity and the principles in small ways here, but I'm not planning on getting a parcel and building every year now," said Klaus when asked how long he would be on Burn2. "It was kind of a milestone to do something last year, and this year will have other paths to pursue. But "never say never". If there's one thing I have learned here, it's that the unexpected can happen if you are open to it - so, who knows, I may be involved again in the future." Klaus went on to say that there is good effort to make the whole thing like a real Burn. "It's not about coming in on the last building day and dumping something prefabricated and leaving it," said Klaus. "We drove trucks onto the Playa and unloaded building materials, we set up a camp and took a couple of weeks putting it together, met other burners and hung out. We savored the process and documented it at each stage. That was the best part of the experience. You can see how it came together in Pearl Grey's machinima here: https://vimeo.com/248213080." Building Sojourning Outpost from Pearl Grey on Vimeo. Like Burn2, Klaus doesn't hold a position with LEA, but he likes to support the creativity that gives space to. "My involvement was deeper this time last year because I had the good fortune to be invited by another friend to contribute to their work: Art Oluja's Glass jars on LEA 11." said Klaus. "I worked on the soundscape for the sim, creating sounds with woodwind and percussion, which is nicely captured in another vimeo here: https://vimeo.com/228706022 . It was a great experience, and I guess you'll notice the emerging theme is that I like to collaborate." When Klaus was asked about how long he had been doing it for LEA, Klaus said, "Well, it was just that one thing. I will always keep in touch with what's happening, and I think writing for the Newser gives a nice opportunity to highlight the stuff that's new and different or that makes me sit up and think." 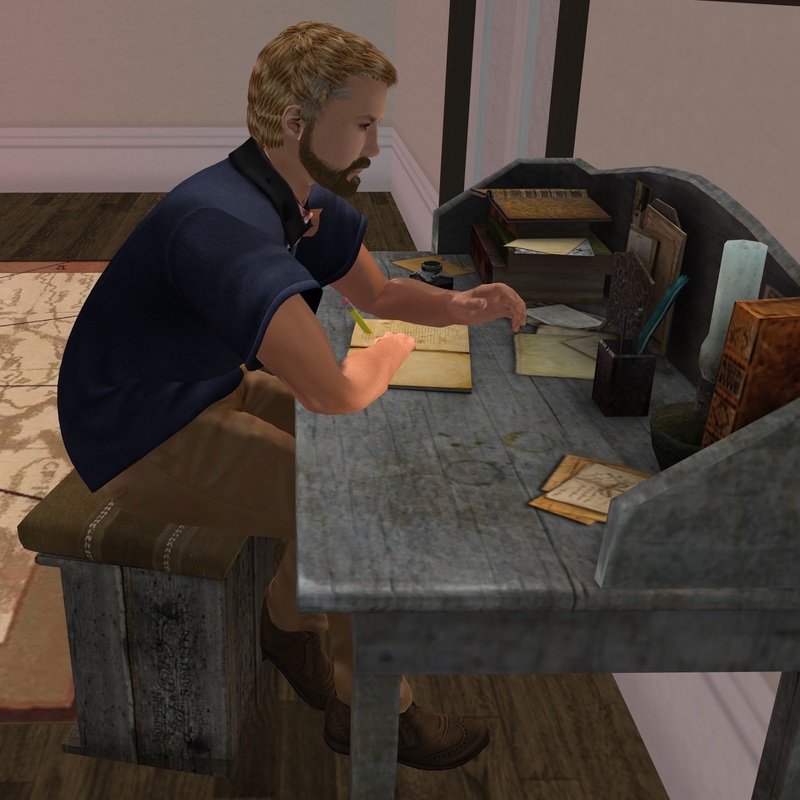 When I asked Klaus if he is writing in real life about Second Life, he said, "Not exactly. I keep the two worlds quite separate, but I write in both worlds. Of course, there is a lot of creative bleed between the two and SL inspires my writing in RL just as RL inspires what I do inworld, but I enjoy the different aspects that the two environments bring out from me in and of themselves. For instance, Klaus writes more poetry than his physical alt does in RL. This is probably because the shorter form is better suited to the average avatar's attention span, and I try to get along to 'Inksters' Poetry Prompt sessions whenever I can. That's not something I'd do in RL. I blog here, too, writing about design aspects of Mainland parcels and topography at http://virtualtopophilia.blogspot.co.uk/ . This year I'm going to be doing more blog writing about Mainland exploration in another collaboration. Obviously I enjoy writing for the Newser as well. In RL, I write and edit professionally and for pleasure, too. The bottom line is that "writers write" - whatever I'm doing becomes grist to the writing mill." I asked Klaus about how long he had been working on this project, and he had the answer for that question. "I came back to SL in 2015 after a long hiatus. At that time I had some curiosity about how humans can dream collaboratively, and this related to a book I was working on. There were other reasons I re-engaged, too, and being here quickly took on a life of its own." said Klaus. "In some ways it's all a massive project, a journey in self-experimentation and imagination. When we chat inworld, we are "writing", and this is a very big book that's not only made from words but also prims and mesh. It will never be done and I guess I will keep fighting the lag and the worse aspects of avatar behavior until the grid shuts down - because it's worth it to me, and there's still life in it." When Klaus was asked about how he is doing with his novel, he said, "I have a lot of projects on the go, and some will go by the wayside. When I was 15 years old in RL, I started writing a novel about a garden that was a world of its own and in many ways similar to this virtual world. Maybe one day I will finish that. In the meantime I'll just be "gardening" here and writing about what inspires me. I have a vineyard, a gallery and a cafe to run; I co-run a shop and a printing press, and ... the list goes on." Thank you, Klaus, for giving me the answers to the questions I gave you in the notecard. I really appreciate it. I believe that I'm already one of your fans, which is fantastic. As days go by, Klaus and I continue to work together as a part of the SL Newser team. I look forward to good days with Klaus.